LONDON: Two major railway stations were closed and 1,450 people were evacuated on Tuesday from a nightclub and hotel after a gas main ruptured in central London. Charing Cross and Waterloo stations remained shutting off into rush-hour this morning amid emergency work to isolate and fix the leak. More than 1,000 people were ordered to leave Heaven nightclub near the Strand, plus around 400 people from other buildings in the early hours of Tuesday morning. The fire brigade said it was called at 2 a.m. (0200 GMT) and was dealing with a ruptured gas main emitting “high levels of natural gas”. Some 20 firefighters were at the scene. Guests from central London hotels were seen milling around the streets in their dressing gowns. Nightclub revellers spilled out onto the street. The Strand, a major route through central London, was closed and a 150m cordon put in place while National Grid engineers tried to isolate the leak. Frustrated workers based in buildings along the road were left waiting to hear whether they had made wasted journeys into central London. The two major stations were shut, with services diverted into Victoria, Cannon Street, and Blackfriars. 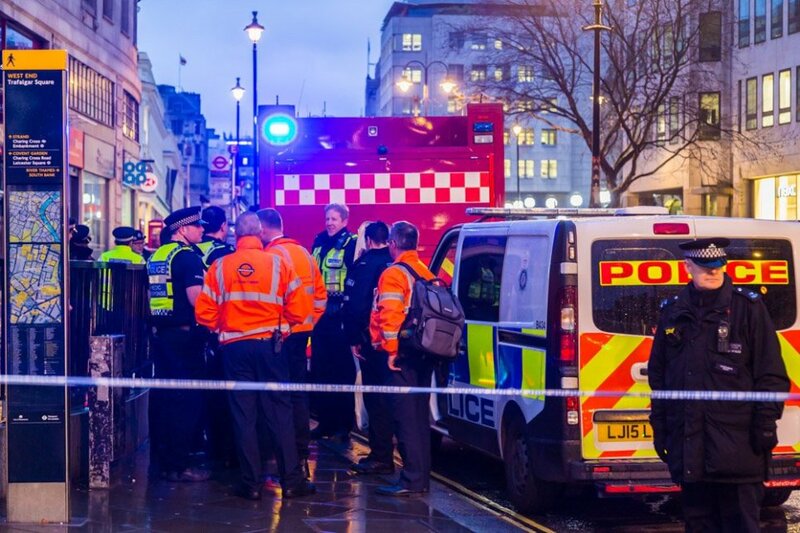 Police for the City of Westminster revealed the news on Twitter. The Metropolitan Police have said officers and the London Fire Brigade are working with the National Grid and other agencies at the scene. A cordon has been put in place around the area affected and members of the public urged to stay away. The National Grid have confirmed the incident was caused due to a ruptured gas main. Some of those in the area have taken to Twitter to explain what is going on. The leak is also expected to cause travel chaos from the surrounding stations and Southeastern Railway have already announced they would be unable to run trains from Charing Cross station. A Network Rail spokesman said: “We will reopen these stations as soon as we have clearance from emergency services that it is safe to do so. The station closures are also affecting the Bakerloo and Northern line Tube services. Passengers are advised to plan ahead. Westminster City Council said a respite centre was opened at the Queen Mother Sports Centre in Victoria. A spokesman added: “We are assisting police on the Strand after a ruptured gas main was discovered using detection equipment and high levels of natural gas were detected in the atmosphere. The fire brigade said they were called to the scene after high levels of natural gas were detected in Craven Street. Gas engineers are still working to find the cause of the leak. The spokesman continued: “It is ongoing and engineers are down at the scene trying to isolate the leak. “There are still high readings of natural gas in the area.